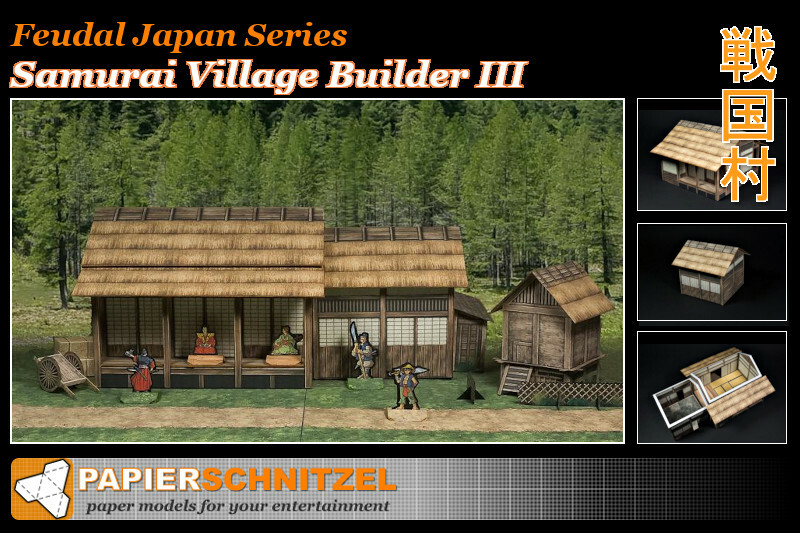 Introducing the Samurai Village Builder III paper model terrain set! 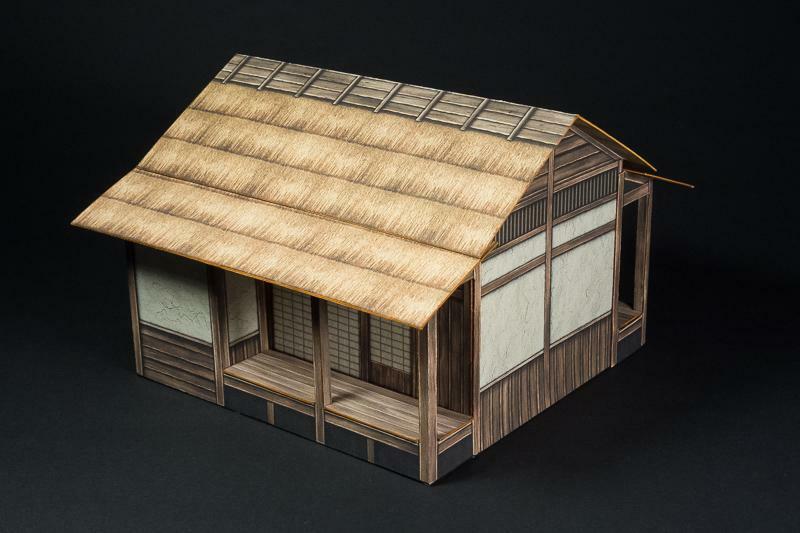 Build homes for the elders in Feudal Japan with these houses. 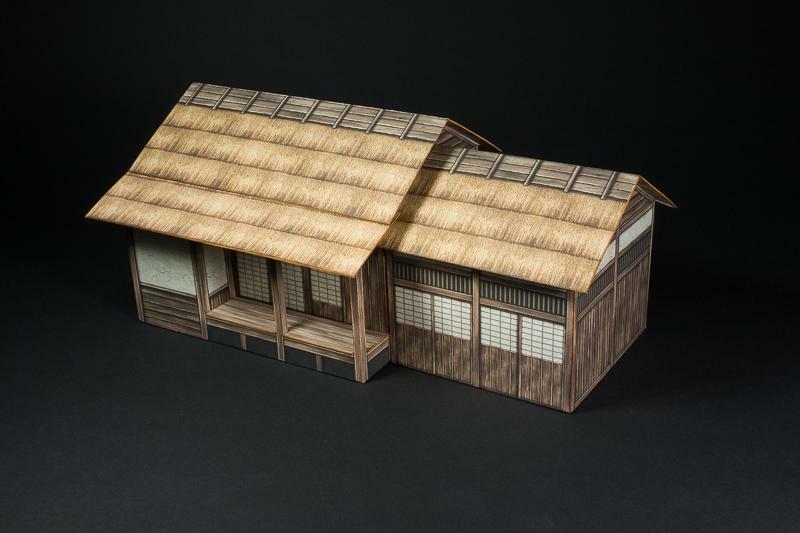 The third set includes a main and small extension building in the typical shoji style. 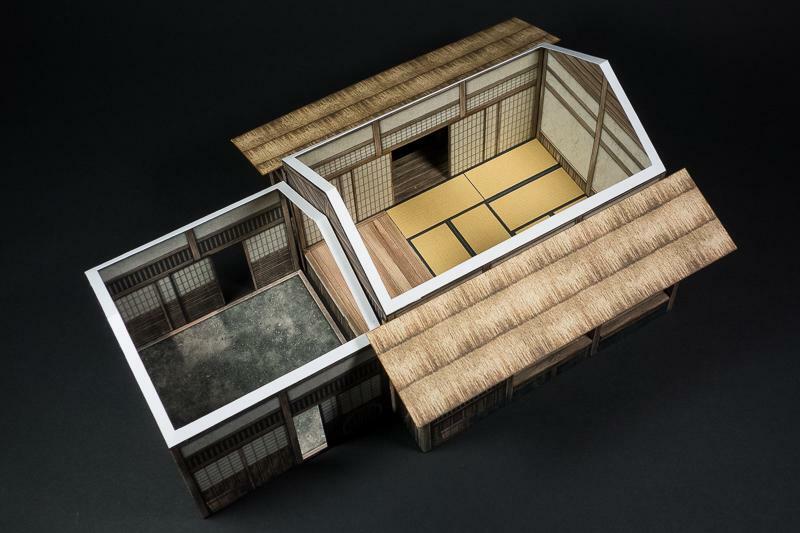 The buildings also come with interior support and you can use them as single buildings or combine them in various ways. 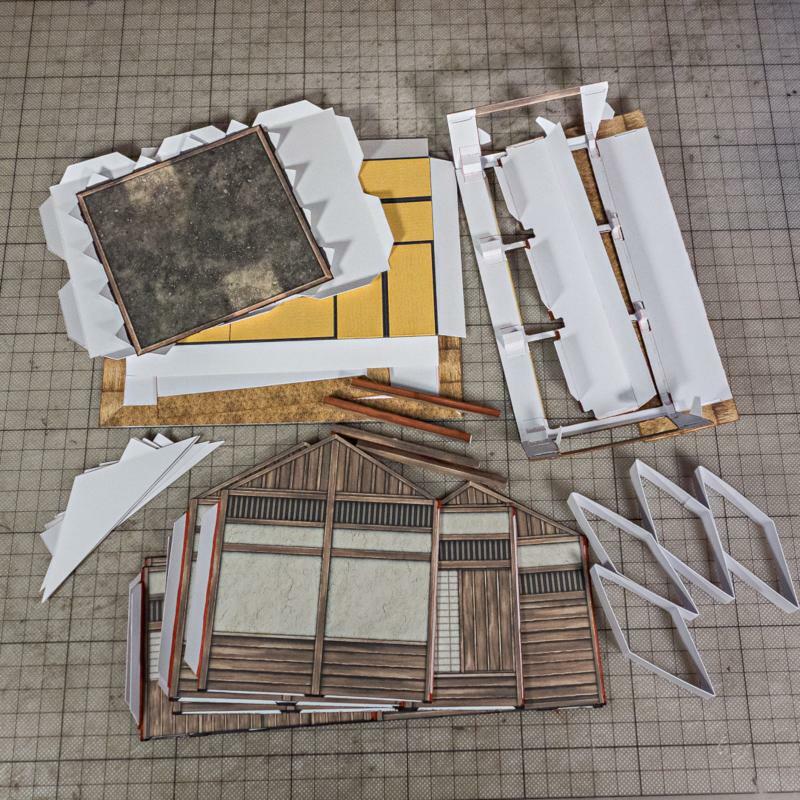 The Village buildings come in a set of PDF files, which you can print and build as many times as you want. 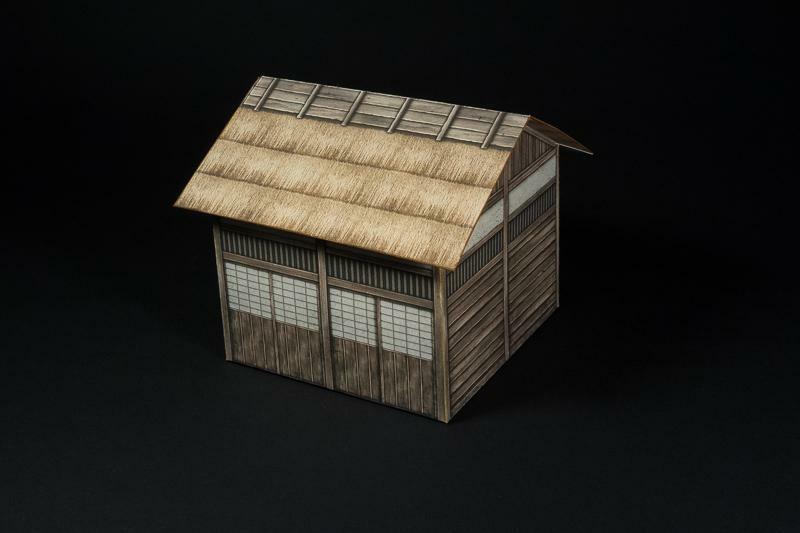 To allow for easy and safe storage of the Samurai Village buildings, instructions for building the elements as flat fold modules are included. Choose from a variety of texture styles to build every house with an unique look! 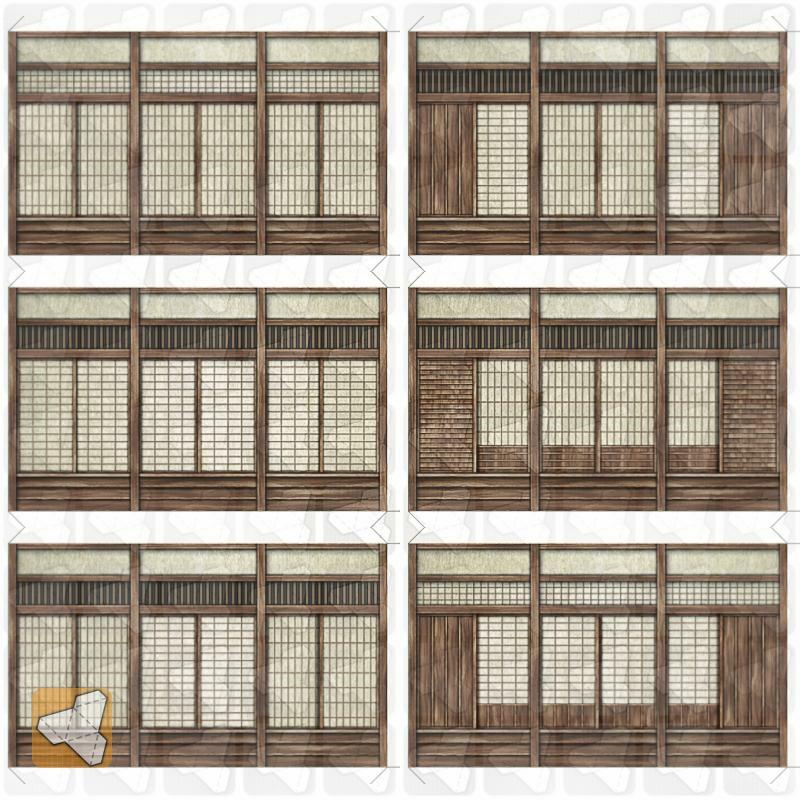 In this set the focus on variations is on the shoji wall panels. These are a few of the possible combination to choose from. 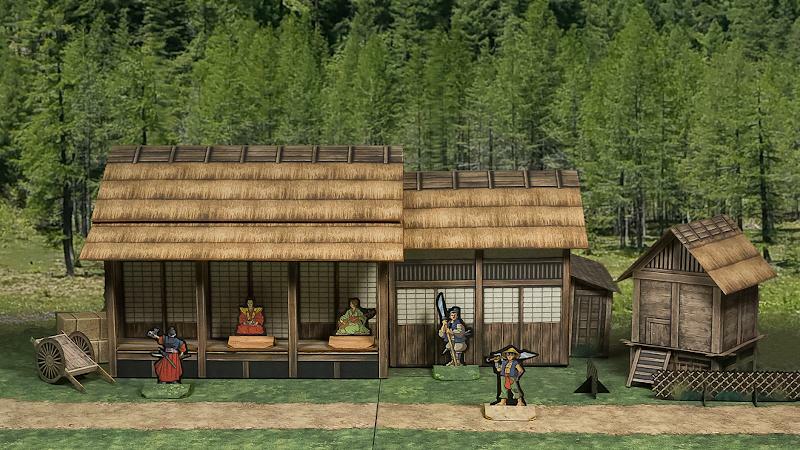 See the village in action (miniatures, storage hut and terrain tiles not included). Paper figures by David Okum, mesper, other figures by Games Workshop and LEGO. 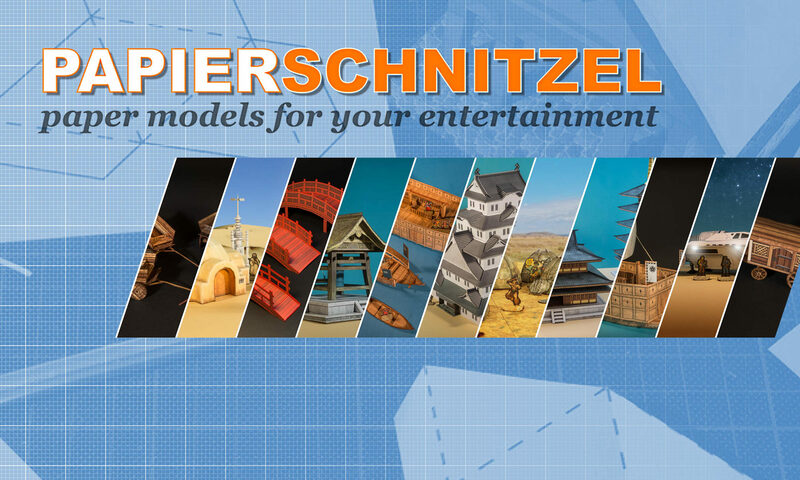 Previous PostPrevious Welcome aboard … Pirate Ships!